A new startup is aiming to improve your health and wellbeing through the help of a smart mask that tracks air pollution. The device, from the folks over at Cambridge Mask Company, is able track pollution in your area through a companion app, tell you when to wear the mask and how long the attached filter will be able to protect you. The mask itself features three filters created with help from the British military for use in chemical, nuclear, and biological attacks, with these also treated with silver to even absorb and kill viruses and bacteria. This, the company says, helps prevent the inhalation of other gases, such as toxic nitrogen oxide, which is produced from diesel fumes. 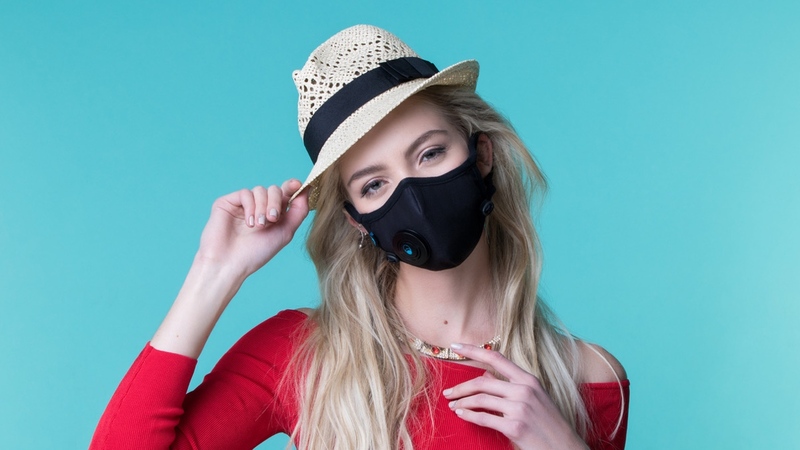 But the mask itself actually works through Bluetooth sensor in the valve, which is able to measure the wearers breathing patterns and alert them when a change of filter is needed, with the Air Quality Index (AQI) also being used as a base for notifying the user when the air may be hazardous. The Cambridge mask is also able to register multiple users within the app, meaning a family or group can keep tabs on their specific levels. But while this would appear to be a solid device for anybody concerned with high air pollution levels they experience during their morning commute, or people who need a safeguard against chemical sensitivities or their low immune system, wearing a mask in public still isn't a concept most people are completely comfortable with. With cities such as London recently receiving warnings over air pollution levels, though, it's possible that a market could be creeping open for masks such as this to make a splash. The project is currently doing the rounds on Kickstarter in search of £25,000, with early bird offers for a mask beginning at £18 (which translates to roughly $23) ahead of its expected shipping in October.